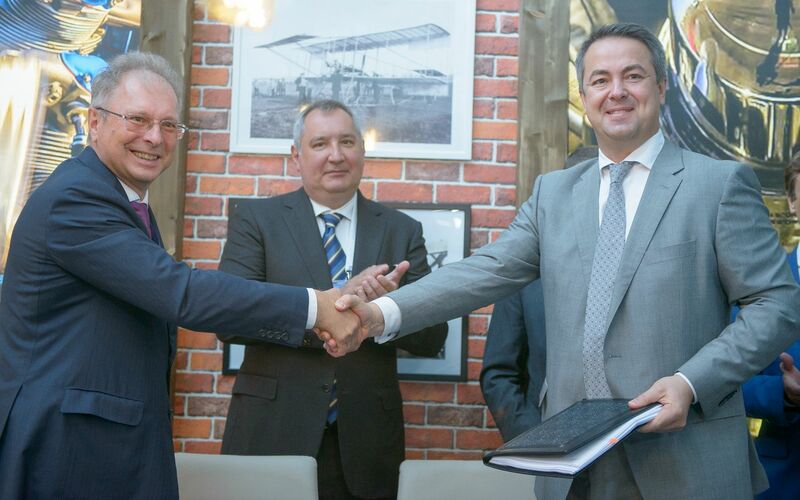 IFC and Russia’s Red Wings airline have signed a firm lease contract at Moscow MAKS international airshow on sixteen Irkut MC-21-300 aircraft. The deliveries are scheduled for 2019-2022. The aircraft are to be delivered in single-aisle all-economy 211 seat layout. Four aircraft are to be powered by Russian PD-14 engines, the rest by Pratt & Whitney PW1400G. The agreement was signed by Ilyushin Finance CEO Alexander Rubtsov and Red Wings CEO Evgeny Klutcharev. This signing became a development of the MoU inked by the two companies in 2013.